Its time to celebrate and have a Special KIRTAN this month! Most of you have met and heard my daughter Shivali- She is turning 4 on March 23rd and that of course calls for a Special Kirtan. 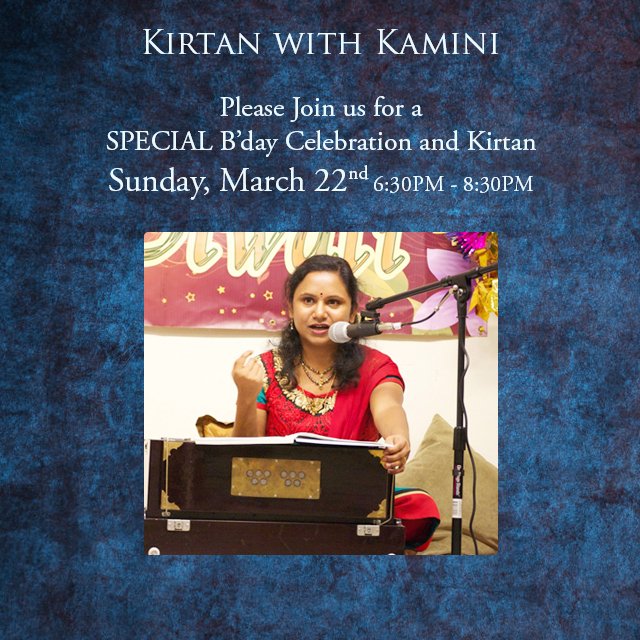 Let us all get together on Sunday March 22nd and celebrate her b’day and sing our Kirtans. Please do not bring any gifts- Your presence is the biggest gift! We will have some vegan cake and refreshments. Please feel free to bring any vegan/vegetarian food to share – although it is totally optional. But do bring your reusable cups/plates/spoons/bowl etc as we do not want to produce paper/plastic trash.